When I was studying Developmental Psychology at Harvard I was fascinated with research that was being done about a babies inability to thrive emotionally and physically when they were not touched or picked up. Some children simply die. Others developed physical complications and later emotional issues. So, in the world of psychology, that seemed perfectly understandable to me. But, later in life the question that has great relevance for me is “what about the spiritual implication of a failure to thrive?” I had noticed over the years that animal behavior was centered on the pack, the flock, the herd and the school of fish. Animals rarely choose to be alone. Those who were not part of the community were either picked off by predators, developed deviant behavior, became malnourished or simply died. What if the fabric of all human existence is exactly the same? A core of like beings who move like a flock of Starlings, who work together like Dolphins, protect each other like Elephants and who in fact truly cannot thrive without one another? So then, what is to be said about the American Dream of the Nuclear Family as the ideal? Who came up with this idea in the first place? Who decided that families partitioned off by fencing and personal property, who don’t interface on any regular basis is healthy? People each in their own rooms behind closed doors, and now rarely eating at the same table or divided even further by the TV, the cell phone, computer or X-Box 360? What if in fact the emergence of this kind of growing alienation was designed to do just that: Create isolation and a failure to thrive for human beings? I read the book about Anne Frank. I was astonished that more than a dozen people could exist in one tiny space for years and survive the fear and unknowing that was part of the Nazi regime. Then I thought: Maybe they survived because they were together. How many people do you know who are truly thriving? What does that really mean anyway? To thrive means to grow vigorously, be strong, do well and prosper. This is not about money and things, status and position. At a deeper level to thrive means living a life that is inspired, happy, content and filled with meaning. And at this I balk. I hear myself say that this is not what most people are experiencing most anywhere. A year ago I made a decision that I was not expecting. I decided to live alone for the first time in my life. I had had community around me in one form or another for six decades. Family, roommates, partners, intentional community, schools and colleagues. But, when I moved to Asheville I decided to create a life of extreme solitude and moved to the tip top of a mountain in the forest. I called my new home Hobbit House. And it was. Minus the other Hobbits. I had the lush of nature, the silence, the extreme beauty and the precious solitude I craved. My soul felt full of inspiration. But, I noticed that gradually my body was changing and so was my emotional life. I began to feel physically weak and lose muscle strength. I felt “blue” far more than was understandable and even and inexplicable kind of nameless despair. Keeping my center was harder and staying to task was more effortful. And then it became clear to me that although I am no longer a baby, the Failure to Thrive is not isolated to babies, but is a truth about us as a human species. We are meant to be connected. Physically, emotionally and spiritually. We are meant to be together for far more than just social reasons. We are physically meant to be with one another of “like” in order to power our immune systems and to balance our nervous system and be healthy. But the stark truth about why we are communal beings is that our hearts depend upon it. The heart is a battery of sorts. 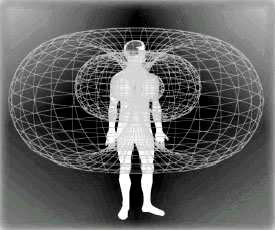 It generates the largest electromagnetic field in the body. Our brain is dwarfed by the power of the heart. But, like solar energy panels, if you put one panel in your yard to power everything electric then you drain the panel fairly quickly. But if you connect many solar panels together you harness and generate a huge force field. Humans are no different. We are a network of energy sources that when connected can produce energy for healing and increase personal potential and power. We can create greater clarity, focus and intention. We can move mountains. 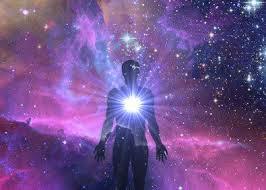 But, to see this as a fact, we first have to understand that humans are a spiritual matrix of energy. I think one of the reasons people all over the world felt so moved by the movie Avatar was that they recognized a truth we are all on the verge of understanding: That when we are connected to Source and then to one another, there is unlimited power and potential. There was a scene in Avatar at the tree of ancestors where each of the tribe first sat on the ground and then connected their tales to one another and in a heartbeat a grid of energy was illuminated. I call this entrainment. Entrainment is to fall into synchronization with a rhythm until the whole is calibrated to the same beat or the same frequency. This is why there is research now on how hugging someone for more than 30 seconds results in the hearts synchronizing. We need to entrain with other hearts to proper and to thrive. I see a chiropractor who practices what is called Network Care, developed by Donny Epstein. Network, being the operative descriptive. There are four to eight patients in a room and each are attended to by the practitioner who does not manually adjust the body, but moves spinal energy. The experience then becomes one of entrainment, where the strongest system pulls all systems to it. Total strangers entrain in a matter of 30 minutes and all moving toward health and healing. So, if we are all one and if we are universally connected there is a reason for this. And we have interrupted the order of things. I believe the reason we are all connected is to keep every living organism thriving. But more so, I believe that the heart depends upon other hearts to open and stay open and to be the power source that it is meant to be. When we are not heart connected, we fail to thrive. Our battery, our generator of love and compassion and joy looses juice. I felt that keenly in this one year alone. And in this knowledge is a secret key to our survival as a species, to the healing of the damaged immune system of the planet and for the regeneration of love and compassion on our one home called Earth: The key is to intentionally connect. To tear down the fences, demolish the ticky-tacky suburbs, come out of isolation and from behind the blue screen of the TV and demand a new way of living. We all need to take the risky leap of creating intimacy and togetherness and a life of inter-dependency, of gardening together, of cooking together, of praying and singing and dancing together. Of pooling resources, giving things away to those who don’t have what is essential, to coming out of hiding behind technology and to really embrace life together. To become warriors of the heart. There is a reason that the ‘powers that be’ have systematically annihilated all indigenous people and heralded the necessity of technology and individuality. That reason is clear and has almost been achieved: To cut all of out from the herd so that we do not thrive, do not gather, do not carry one voice for change or have power and so that we do not love. And if we look at society at large, we see everywhere people who are like the Elk, alone and not part of a herd and family, who is either eaten by predators, alone and malnourished, or has developed deviant behavior. But, these powers have not succeeded. Not yet. Not when we still can break down the barriers to each of our hearts and entrain on joy and love. This is the power they cannot harness. This is more powerful than money or greed or force. So, after this year of living solitarily I have learned that I certainly can meditate more, I can write more, rest more and enjoy nature more than I have in the past. But that is not enough. I need hugs and laughter, I need discourse and dialogue, I need cuddles and cooking and being shoulder-to-shoulder and heart-to-heart with other people like me. To Create a Grid of the Heart.